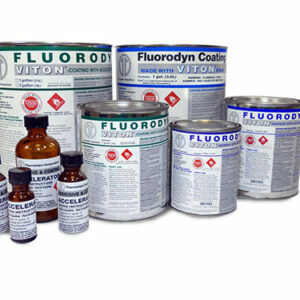 Fluorodyn™ adhesive (made with Viton™) was developed in conjunction with DuPont engineers to perform in high temperatures, aggressive vapors, and extreme environments. Originally designed for cold splicing flue duct expansion joints, this unique adhesive is ideal for splicing fluoroelastomer materials and bonding rubber to metal surfaces. 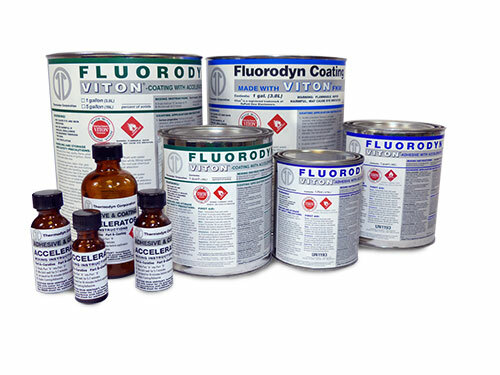 Made with Viton™, this adhesive cures quickly at room temperatures and offers the same chemical resistance as all Fluorodyn™ premium products made with Viton™.